California Pizza Kitchen menu prices! California Pizza Kitchen is an American casual dining restaurant that is famous for its hand-tossed artisan pizzas with globally inspired flavors. The California Pizza Kitchen menu also includes soups, salads, pasta dishes, and desserts. Young pizza lovers get to choose from their own CPKids menu. Guests can also try one of CPK’s hand-shaken cocktails, premium wines, or craft beer selections. All CPK locations are open for Lunch & Dinner. Besides dining at a CPK free-standing location, guests can also enjoy a CPK favorite at select major airports, sports stadiums, and college campuses. Tacos served with tortilla chips and flame-roasted salsa. Whether pressed for time at Lunch or kid activities through dinner, guests can order their favorite CPK meals online for take-out, curbside pick-up or delivery. Ordering is hassle free via the CPK website. Determine nearest CPK location, choose menu items and select a pick-up time. Knowing how many calories you are consuming at dinner or how much fat is in your meal is easy at CPK. CPK provides a complete nutrition guide with dietary values for all their menu items. Guests can view the nutrition guide online before visiting CPK. CPK takes food safety very seriously. For those guests that have food allergies, CPK offers a complete guide to their menu items with clearly identifies 8 major food allergens. Guests are asked to review the list and speak with a restaurant manager before ordering. For those guests following a lifestyle diet, CPK provides guidelines on how to meet their dietary needs while dining at CPK and offers suggested items that meet their dietary needs (sometimes with modifications). CPK also offers a gluten-free menu for guests with gluten sensitivity. All menus and additional information can be found on the CPK website. For loyal guest of CPK, now they can join the Pizza Dough® Rewards program and start earning ‘green’ dough. Sign up is simple and free plus guests receive a free small plate just for registering. Guests earn $5 Pizza Dough Reward for every $100 spent at the restaurant. The reward can be used on a subsequent visit. Members may also receive special offers or rewards. Check out all the program details on the CPK website. Need a fresh idea for a catering event. Let CPK prepare an assortment of flavorful food choices guests will appreciate. CPK’s menu choices will make planning an event simple and easy to manage. Catering orders can be placed online or through restaurant location. The catering menu is available on the CPK website. Guests can pick-up their order or have it delivered by CPK. Birthday parties at CPK create unique memories just like the pizza choices. Kids get to create their own pizza, take a restaurant tour to learn how the kitchen operates and receive a CPKids chef’s jacket. CPK is committed to serving and helping the communities where they operate. CPK gives back to the community through volunteer work, in-kind donations, FUNdraisers and the CPK Foundation. Many local and national charitable organizations have benefited from CPK’s Inspired Acts(tm) initiative. Learn more by visiting the CPK official website. If a school, youth sports team or non-profit organization is looking for a unique way to raise money, then CPK is the place to start! Setting up an event at a local CPK location is easy and rewarding. 20% of sales generated by supporters of the organization will be donated back. For those guests that enjoy the uniqueness of CPK pizzas but can’t always make it to a restaurant location, CPK offers Oven Ready pizzas. These are frozen pizzas that can be purchased at the local grocer and prepared at home. Need suggestions on what other ingredients will take your pizza to the next level of taste? What about a wine suggestion? Check out the CPK Oven Ready page on the website to get ideas. CPK is always seeking candidates that are high energy and willing to work hard. Candidates that are passionate about food and providing guests with a positive experience should consider a career at CPK. The Career page on the official CPK website provides a listing of current hourly, management, and corporate openings. Potential candidates can learn more about CPK and apply online. Attorneys Richard Rosenfeld and Larry S. Flax combined their love for pizza and desire to try new flavors into the first CPK location in Beverly Hills, California in 1985. Today, there are over 200 locations in the U.S. plus international locations in 14 countries. In 2011, CPK was acquired by Golden Gate Capital and is headquartered in Los Angeles, California. Guests can follow and connect with CPK through various social media platforms. 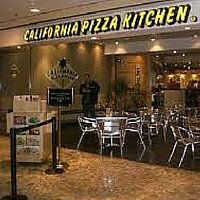 For more information about California Pizza Kitchen, visit their official website. Does California Pizza Kitchen offer gluten-free items? The California Pizza Kitchen menu does include food items that are prepared using gluten-free ingredients. Does California Pizza Kitchen offer delivery service? California Pizza Kitchen does offer delivery service. Monday-Friday until 2:00 pm, within a 5 mile radius and $50 min.food order. Guests are asked to contact their nearest location to confirm if delivery service is available. This is my favorite pizza “joint”. It is really great pizza with a huge variety of toppings and they are very accommodating about adding additional items to their specialty pizzas. My favorite is the wild mushroom which I always have them add the sausage. My lunch here is wild mushroom pizza, wedge salad and mango iced tea.